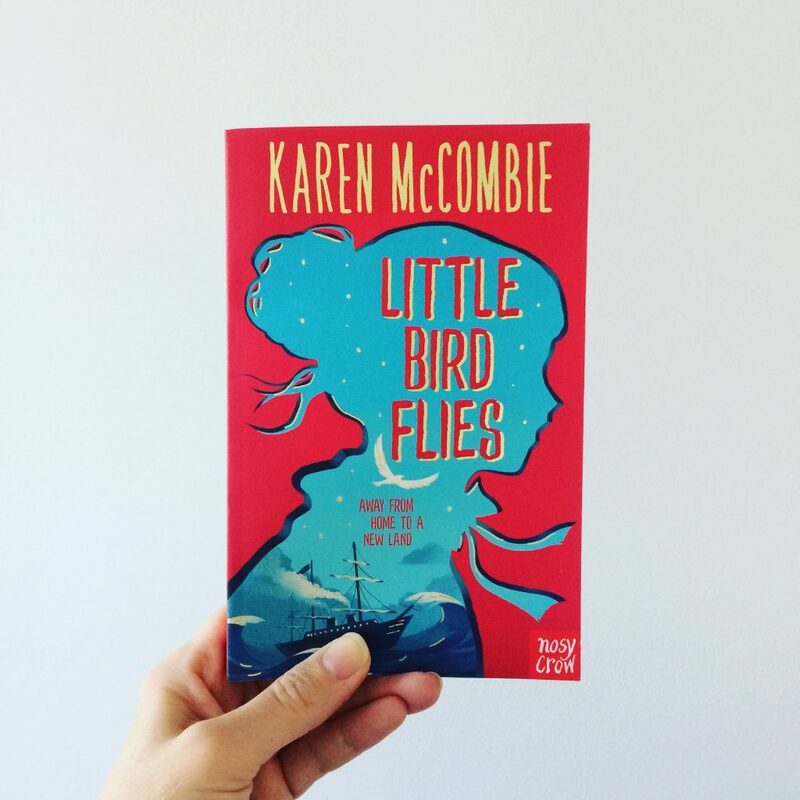 I first found out about Little Bird Flies while reading an interview with Karen McCombie in the latest edition of Carousel magazine. I’m a big fan of historical fiction and the idea of a 2-part series detailing the life of Bridie – aka Little Bird – intrigued me. Little Bird Flies – the first book in the series – is set against the stark realities of the Highland Clearances in the 1800s and the devastating impact it had on crofters. Karen depicts how tenants’ lives could literally change in a heartbeat, with a new Laird bringing instant unease, uncertainty and tension due to a lack of respect for local customs, and a distain for the people living on his land. After an incident takes place in which they have no involvement, Bridie’s family have no choice but to flee and take their chances elsewhere; however, with that comes new challenges and difficulties..
Karen’s engaging, evocative writing style has whisked me from the Scottish Highlands to Glasgow and onwards to America as I’ve followed Bridie’s journey to her new life. Little Bird is a brave, determined protagonist who doesn’t allow her disability to stand in her way and whose love for her family and friends constantly shines through. While she is different to most of the crofters in that she’s always dreamed of leaving her island and travelling to the New World, she did not expect it to come about under such circumstances or at such a price to her family. Alongside Bridie there’s a large cast of characters and I love the depth that Karen has brought to each of them through her descriptive storytelling. The book ends just as Bridie reaches America and will now continue in Little Bird Lands, which is due out later in the year. As a big fan of Laura Ingalls Wilder’s writing, I am hugely looking forward to the story heading out to the wild frontier: I can’t wait to see how Bridie adapts to her new life as a pioneer. Both Little Bird Flies and Little Bird Lands are aimed at the middle-grade audience, so they are perfect for KS2 readers and above. They would appeal to children who love historical adventures and particularly to Emma Carroll fans. A really super, enjoyable read.